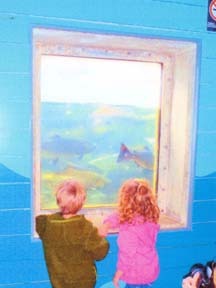 VIEWING THE FISH at the Puntledge Hatchery is a majestic experience. Celebrating Rivers Day at the Puntledge Hatchery, which is situated on the bank of the river, is a most appropriate location for this inspiring day. When I arrived in the early afternoon over 900 people had visited or were still at the hatchery. I have no firm numbers, but it would be safe to say that in excess of 1,000 people visited the hatchery on Sunday. It is interesting to note that the hatchery celebrated 30 years of service to the river and its salmon populations. 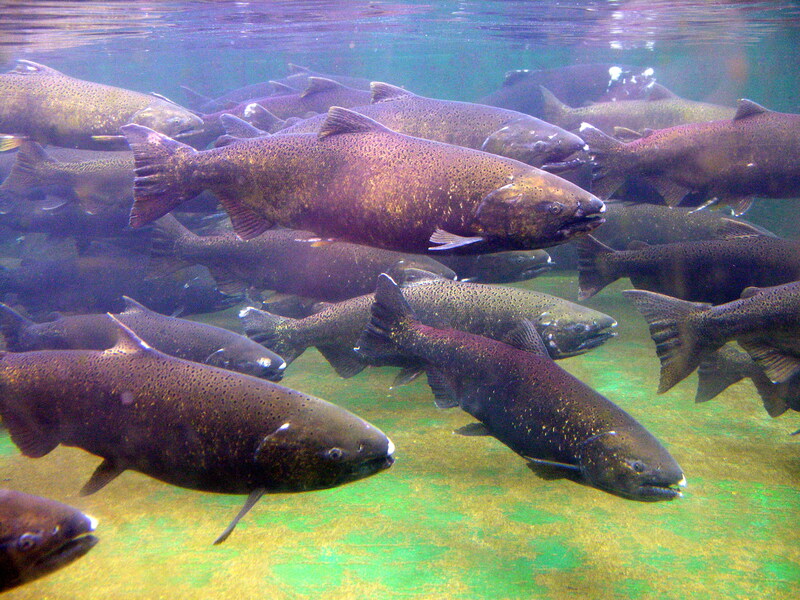 The Puntledge Hatchery is concerned with maintaining and recreating sustainable salmonid populations in the system with emphasis on two races of chinook, coho, chum and pink salmon. Steelhead, trout and sockeye salmon and other species are not enhanced in direct ways. Rivers Day at this facility is an actions-oriented program that goes a long way in informing the public about its operations. Another important aspect of the celebration is showcasing a wide variety of volunteer enhancement programs throughout Area 14 from Fanny Bay to the Oyster River. The program is also supported by the BC Hydro Fish and Wildlife Compensation Program in mitigating the loss of fish habitat due to electric power generation and water diversion. I spent several hours at the hatchery on this important celebration and I never cease to be amazed at the participation of an interested public. The viewing room is always a star attraction. Staff members are on hand to offer explanations of what is taking place, but the real story is the silent, moving ballet of thousands of salmon that silently swim past the viewing windows within touching distance. They are separated from their viewers by the clear windows of freshly cleaned glass. Pictured with this column are two children about seven to nine years of age who are experiencing an event they will remember all their lives. To stand within inches of large numbers of slowly swimming big fish that are unaware of your presence can be a life-altering event when trying to understand this mystic pageant of life. When visitors of all ages enter the viewing room something strange takes place: people talk in whispers or not at all. Children concentrate on the life-enhancing show in front of them with the result that the silence allows all age groups to enjoy this amazing display. As you watch the ballet-like swimming of these majestic fish you realize there are many stages of life processes being played out in the silent holding tank. There are silver bright coho moving across the scene, large chinook in advanced stages of spawning readiness, and then the motley coloured chum salmon with their large teeth in the males. It is like an endless movie of huge numbers of fish in perpetual motion. Another real-life drama that is played out is the process of sorting fish for egg taking and fertilizing. 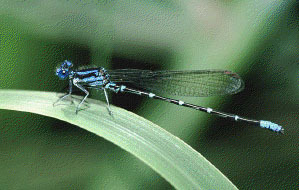 The selected fish are killed, stripped of their eggs and fertilized with the sperm from suitable males. It all takes place as it happens and there is no sanitized announcer telling you that this real-life scene may not be suitable for all audiences. It is creation of new life as it happens in a fish hatchery: eggs are stripped from the female, fertilized by male sperm, and the dead bodies are returned to the river (which is the material for another column). Still another exciting event is children making fish prints from the bodies of dead salmon, in this case pink salmon. Little children paint bright colours on their fish and then the sheet of suitable paper is smoothed over the painted body and carefully lifted off, creating a real work of art. The completed paintings are hung to dry from lines with clothe pins to hold them up. An art gallery in motion and some interesting fish prints for all to admire. I wonder how many of them will be framed? There are many ways to celebrate Rivers Day. As we watched the events at the hatchery, kayakers were happily floating by on a full river from a planned release at the dam to control the level of Comox Lake behind the dam. In many other locations anglers were happily enjoying their day on the river. 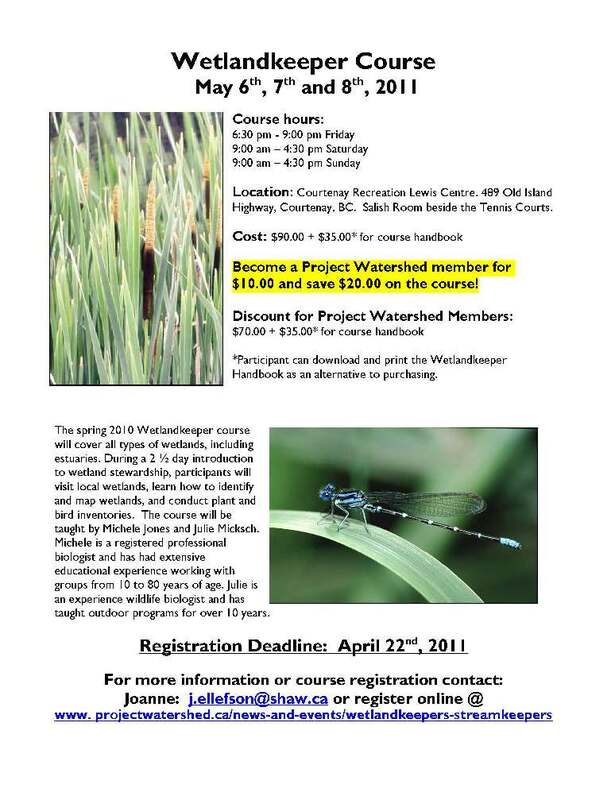 Project Watershed proudly presents our 2nd Wetlandkeepers course for 2010. 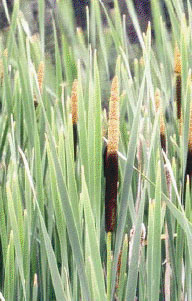 The fall 2010 Wetlandkeeper course will cover all types of wetlands, including estuaries. During a 2.5 day introduction to wetland stewardship, participants will visit local wetlands, learn how to identify and map wetlands, and conduct plant and bird inventories. The course will be taught by Michele Jones (R.P. Bio) and Julie Micksch. educational experience working with groups from 10 to 80 years of age. Julie is an experience wildlife biologist and has taught outdoor programs for over 10 years. Upon completion of the course participants will be awarded a BCWF Wetlandkeepers certificate. Cost: $90.00 + $35.00 * for course handbook. Become a Project Watershed member for $10.00 and save $20.00 on the course! Click HERE! Go back to the Wetlandkeepers / Streamkeepers page, where you can sign up.